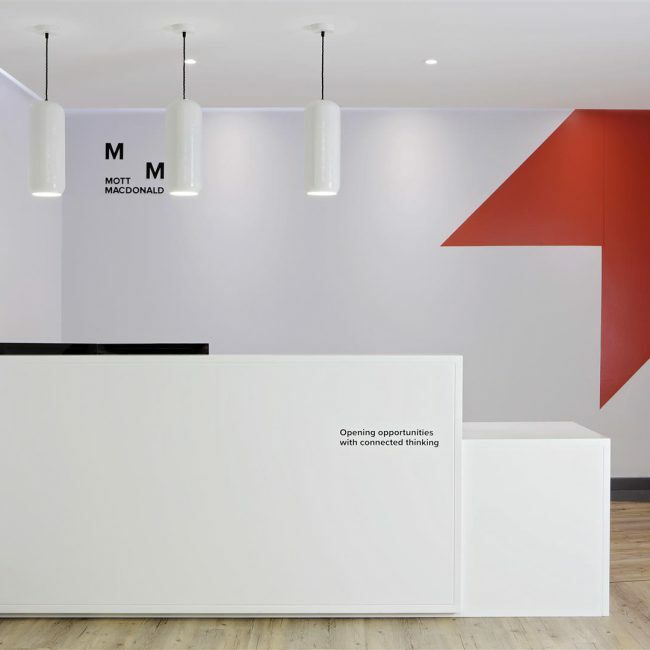 Tétris delivered the new offices of engineering, management and development consultancy Mott MacDonald across three sites in South Africa. 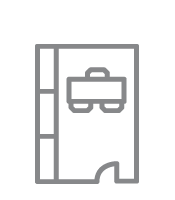 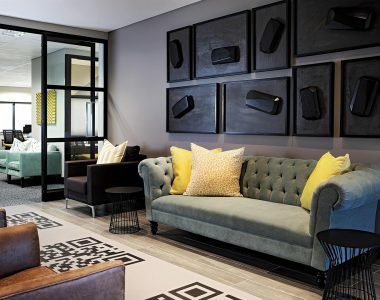 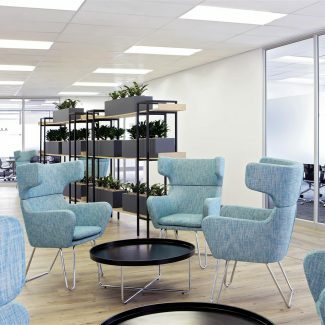 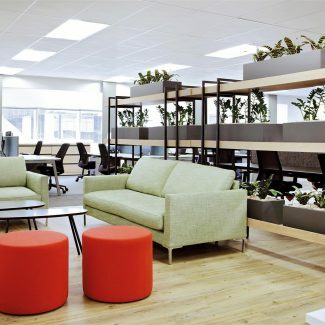 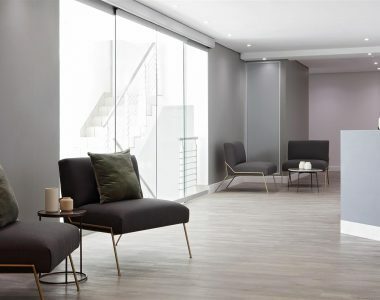 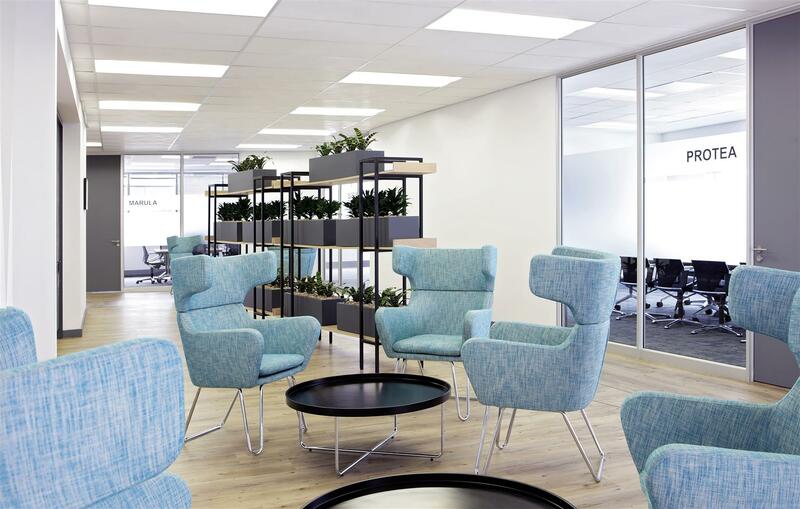 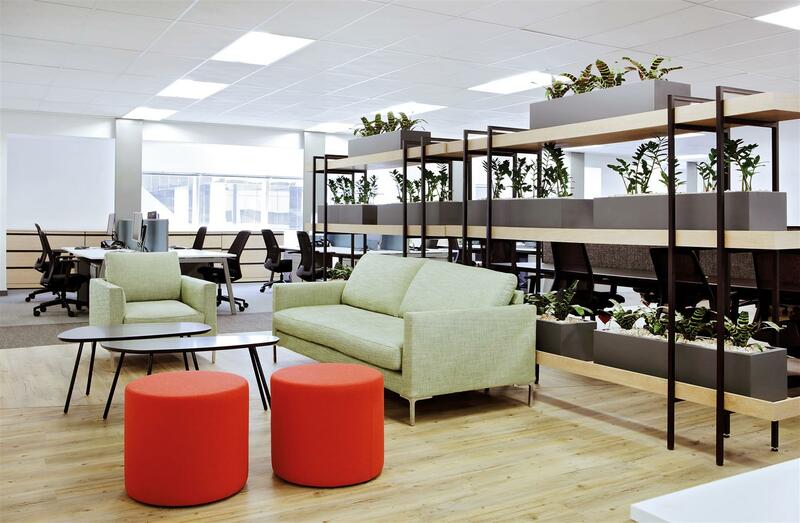 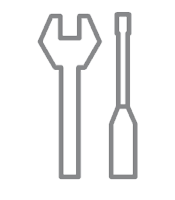 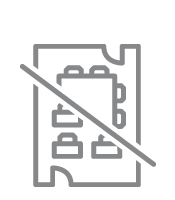 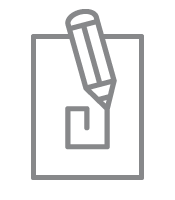 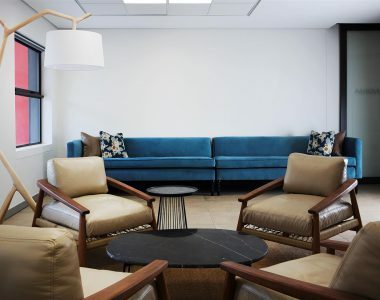 Rolled out simultaneously over 16 weeks, the Johannesburg head office (1800m²) and satellite offices in Cape Town (650m²) and Durban (450m²) are all completely open plan environments. 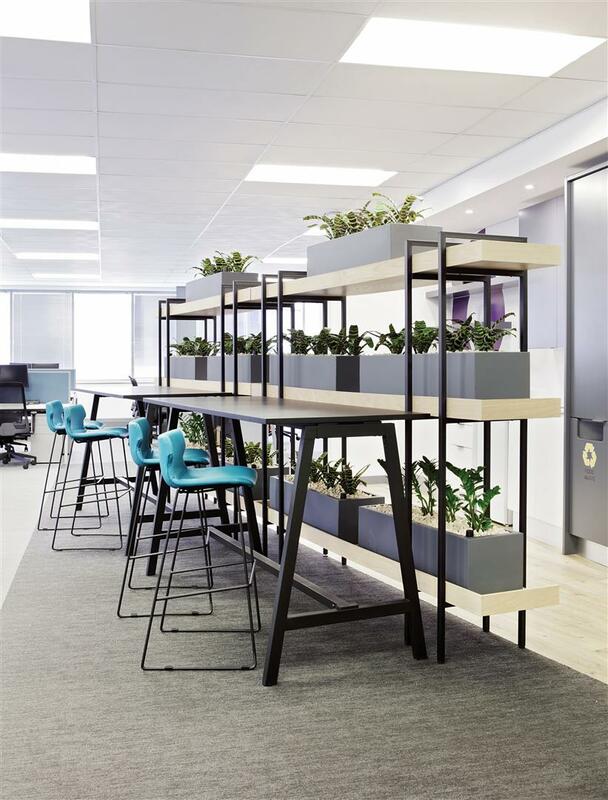 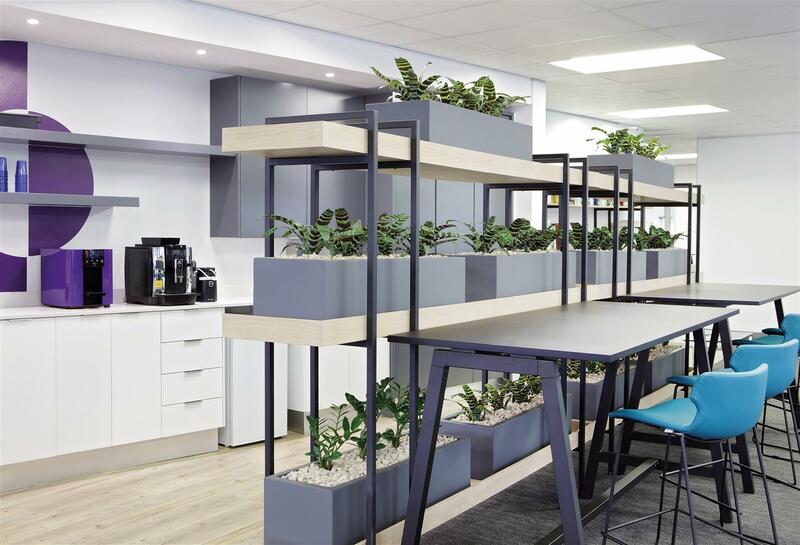 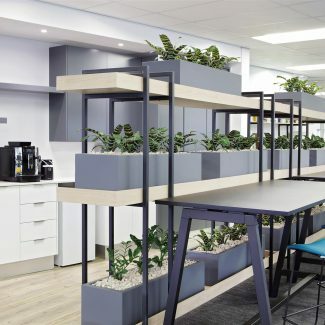 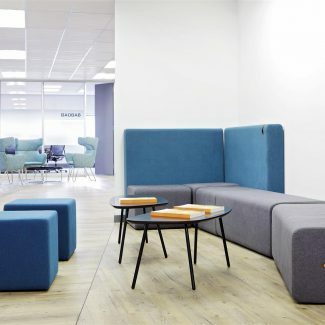 This is balanced by the introduction of central touch down areas, collaboration/meeting spaces, smaller breakaway areas and private spaces across the floor plate to complement the open plan design. 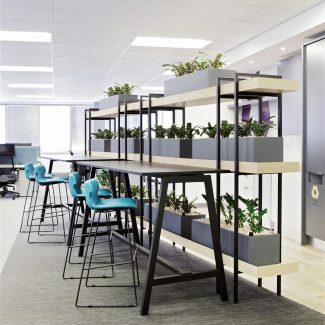 Demonstrating the company’s commitment to the culture of openness, even the CEO sits in the open plan space at a cluster desk configuration. 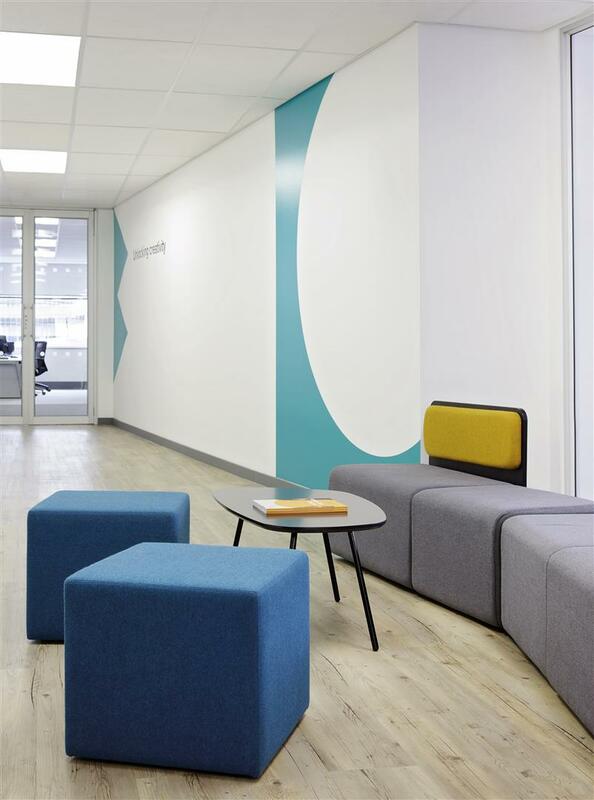 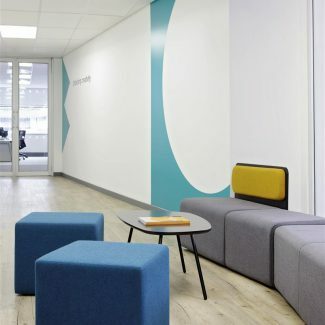 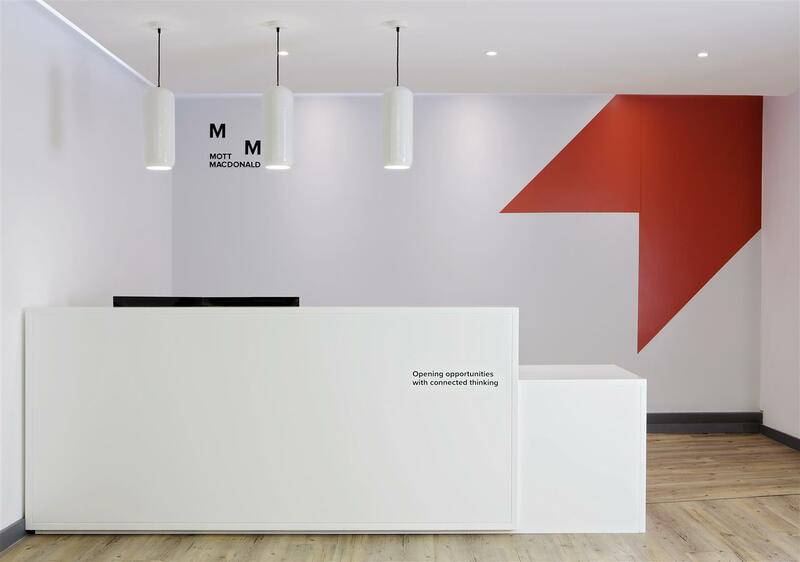 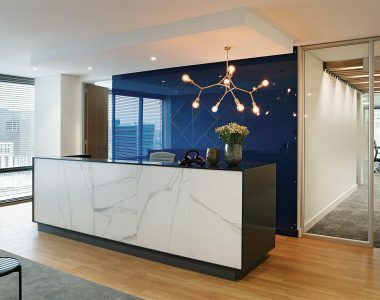 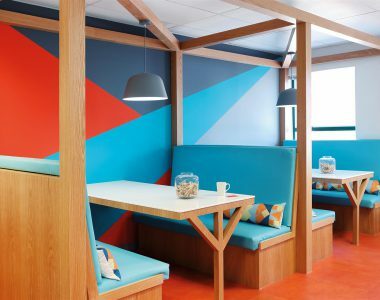 Ensuring the global standards were rolled out for the local offices, Tétris used a clean and crisp colour palette, predominantly white with pops of colour aligning with the colours and geometry of Mott MacDonald’s corporate identity. 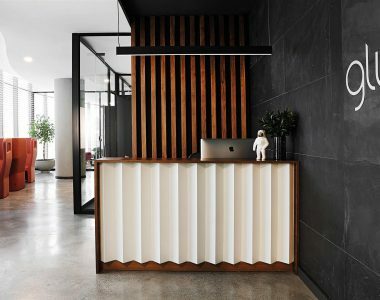 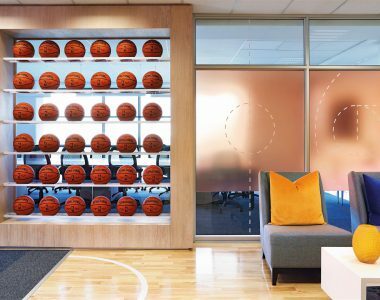 Light timber vinyl brings warmth to the high traffic spaces of the reception and pause areas, offset with minimalist pieces of furniture. 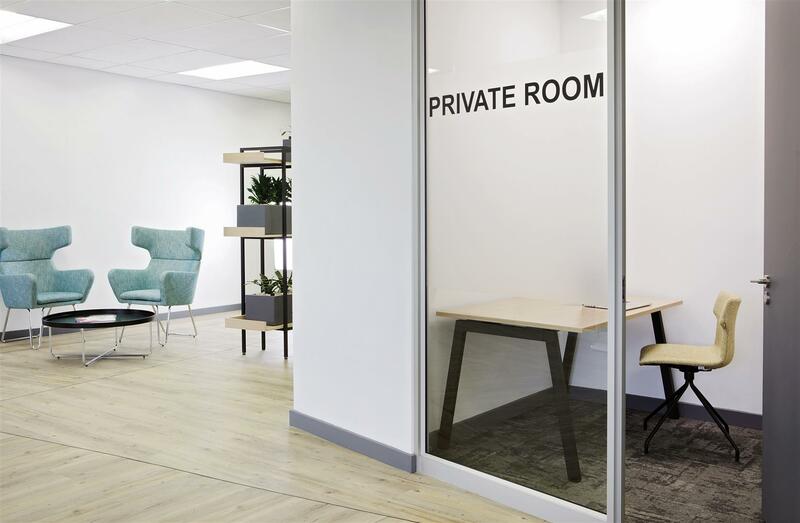 In the open plan space, the base finishes are neutral, with three tones of grey carpet, white walls, white desks and black chairs. 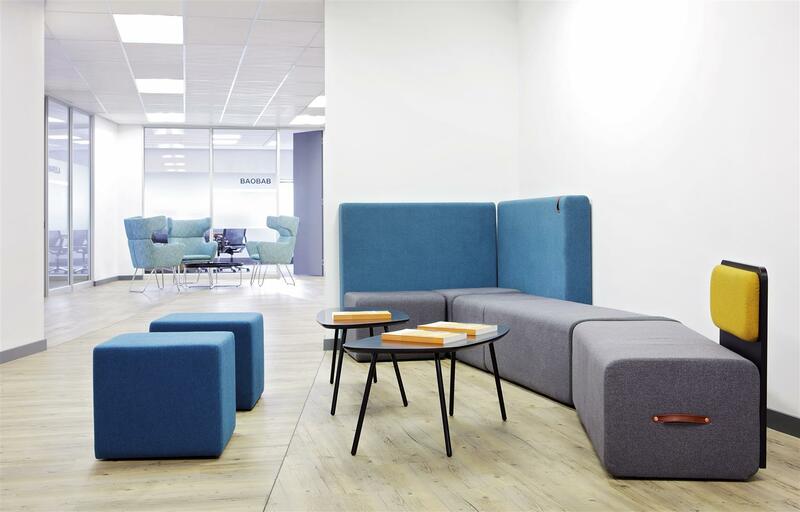 Colour is reserved for the collaboration areas and private rooms, bringing an added dimension to these spaces. 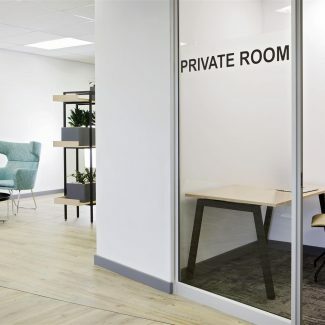 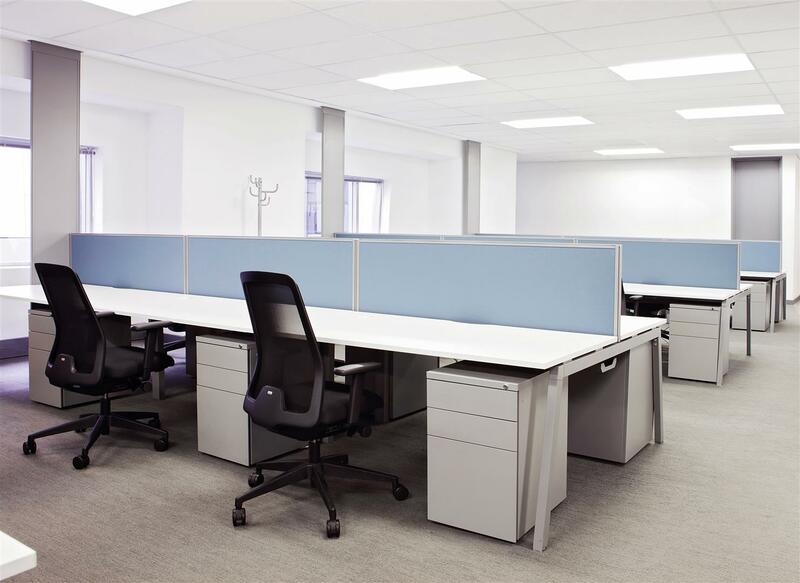 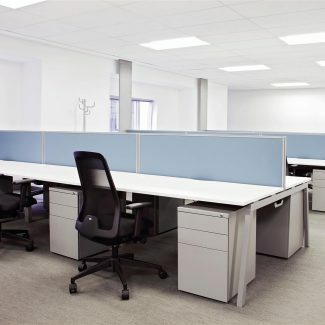 All walled spaces are located on the interior, with the desks positioned at right angles to the perimeter walls to allow for maximum natural light to penetrate into the deep space.